Welcome to the wondrous world of Fyki Beach Restaurant, a spot where your beachside adventure on the island of Aegina begins! Explore one of the dreamiest coves of Aegina, discover exquisite food and innovative cocktails and uncover what true beach indulgence is all about! 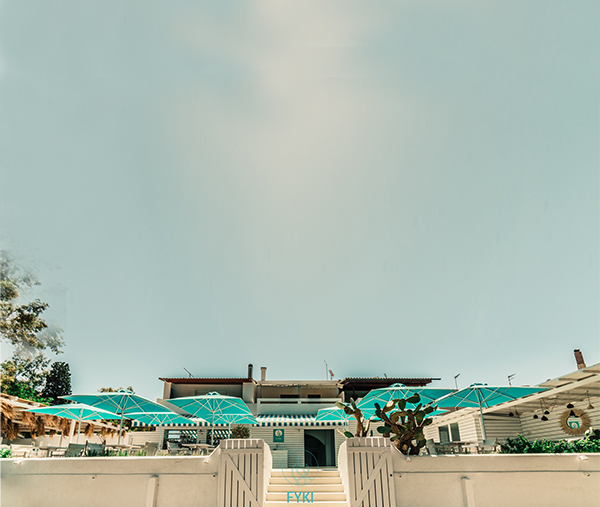 Fyki Beach Restaurant is an experience full of surprises you’ll love, from breakfast till late at night, all summer long; this is where your summer pin is! Let’s define amazing summer beach life! When you think of summer in the Greek islands, the picture that instantly pops to mind is one of a cozy beach bar nestled in a sandy cove, immersed in verdant trees with the lulling buzz of cicadas in the background. This is exactly what we wanted Fyki to embody; the carefreeness of a day at the beach along with great food, exquisite cocktails and a welcoming ambiance, a spot for you to live a summer dream. What does summer bliss taste like? Summer has a signature taste! It’s the taste of fresh fish barbequed with a squeeze of lemon juice, it’s refreshing and colourful salads, it’s fruity cocktails and sweet delights! Our dishes celebrate the delicious taste of summer, always prepared with care and the freshest local ingredients! Summer, after all, must taste good! Summer and the sea; a fairy-tale that revolves around a table. 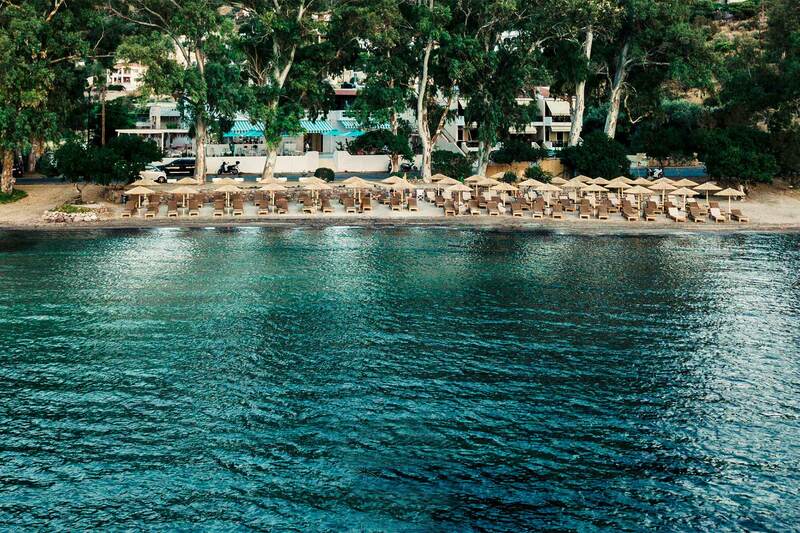 Fresh fish and seafood are meant to be savoured seaside, with good company and carefree spirits, and at Fyki Beach Restaurant at Aeginitissa Beach you’ll find the dreamiest spot for all your summer cravings, from morning till late at night! Try our exquisite dishes, inspired by the bountiful simplicity of Mediterranean cuisine, and indulge in a gastronomic experience that celebrates the genuine character of Greece and Aegina Island. Bon appétit! The perfect spot for any celebration! Celebrate any special event of your life surrounded by your most favorite people in Fyki Beach Restaurant, a spot that radiates summer leisure and exotic elegance. Combine our exquisite tastes and sublime drinks with a dreamy setting and impress your guests with a celebration that seems to pop out of a summer fairytale! Let us help you host an unforgettable event of the highest standards, a day of culinary pleasure and summer indulgence!